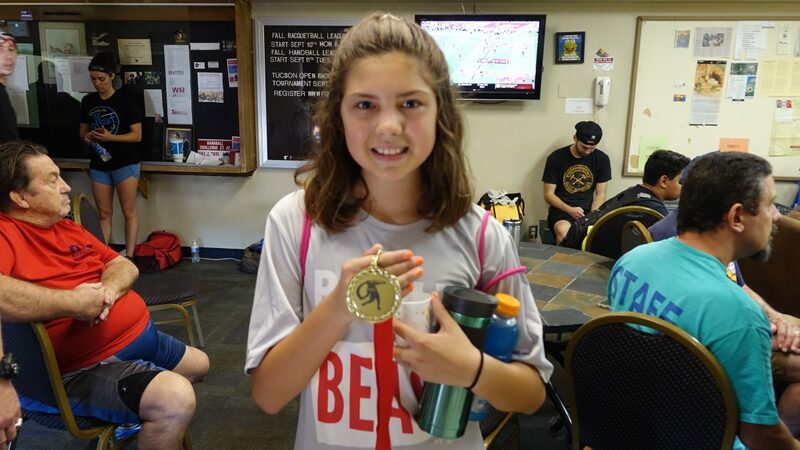 Tucson, AZ, WPH Press, 9/8/18- The second Tucson R48 Pre Qualifier + JR WPH Singles + Doubles featured more than 60 players from Arizona, Texas, Montana, and Mexico, with 45 of those player under the age of 23. 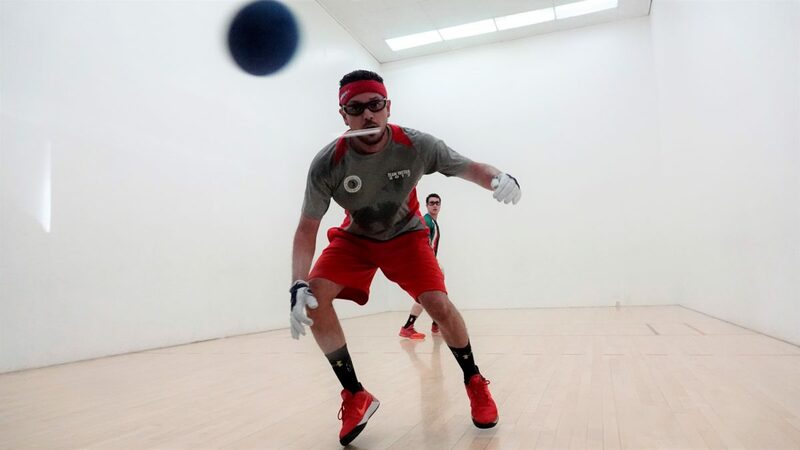 The stellar field kicked off the 2018/18 Race 4 Eight 8 season with history-making matches, three family members in the open doubles final, and the emergence of the next generation of handball stars. Shorty Ruiz entered the Tucson R48 Pre Qualifier as the #1 seed based on his R48 #12 ranking, while defending Tucson R48 Pre Qualifier champion and R48 #18 Abraham Montijo entered as the #2 seed. 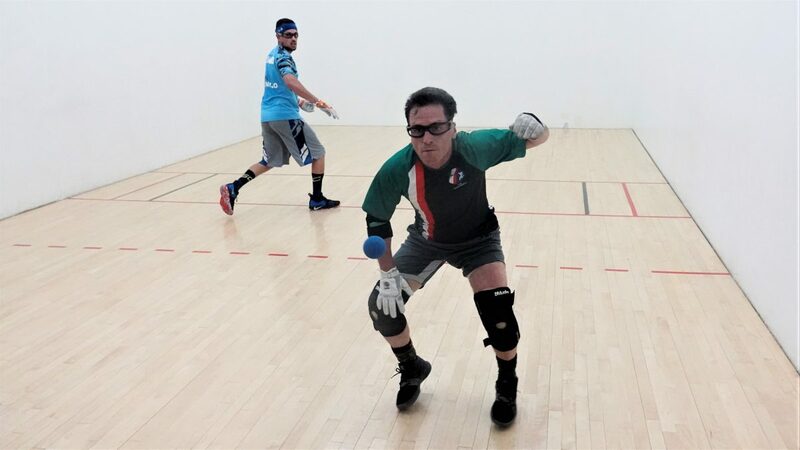 Ruiz faced 52-year old Leo Canales, Sr. for the second time in three months in the upper bracket semifinals, having lost to Canales Sr. in their first encounter at 2018 WPH Torneo de Handball in Juarez in June. The 52-year old phenomenon picked up where he left off in June against the cross over star, making outrageous re kills en route to an overtime win in game one and dominating game two to advance to the final. “Leo made about 10 of those unbelievable re kills in the first game alone,” lamented Ruiz, still in shock after his semifinal loss. “Leo hustles and he never gives up on a ball.” Ruiz became the highest ranked player to ever lose in a R48 Pre Qualifier. Fred Lewis Foundation Executive Director Abraham Montijo took off his coaching hat for a semifinal showdown with current USHA Collegiate National champion Leo Canales, Jr. The 20-something stars traded thunderous serves and kills throughout the 90-minute, two-game match, with Montijo relying on his pro experience to overcome his Southwest rival. Leo Canales, Sr. slammed the open brackets, teaming with his son Leo Jr. to defeat Drft Fernandez and Sr’s son Sebastian to win the title. “This is such a proud moment for me, to play with and against my sons in the final,” stated Canales Sr. in a day he will never forget. 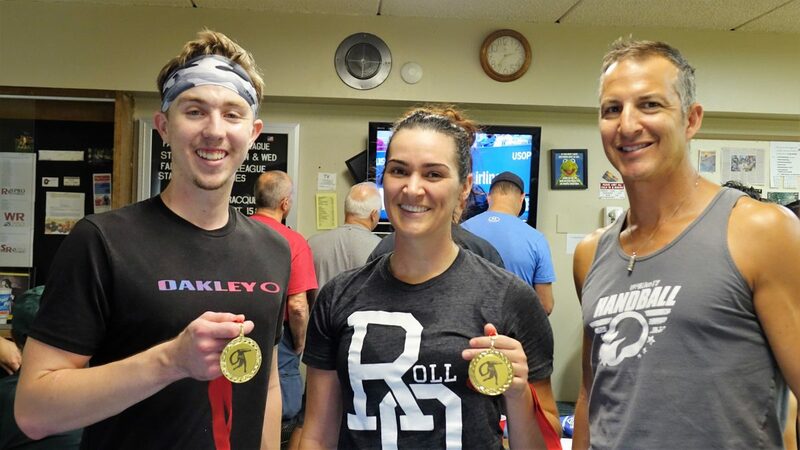 WR48 #6 Dr. Ashley Moler entered the strong A bracket as the #1 seed and advanced to the final of the deep field by overcoming Arizona State’s Esteban Camacho in a thriller, 12-10 in the third game. Dr. Moler would face Tucson’s Buddy Key in the final, who overcame Tucson city rival Carlos Espinoza in an equally exciting bottom bracket semifinal. Key was too strong in the final, using a power serve and a number of hard kills and passes to earn his first A title. 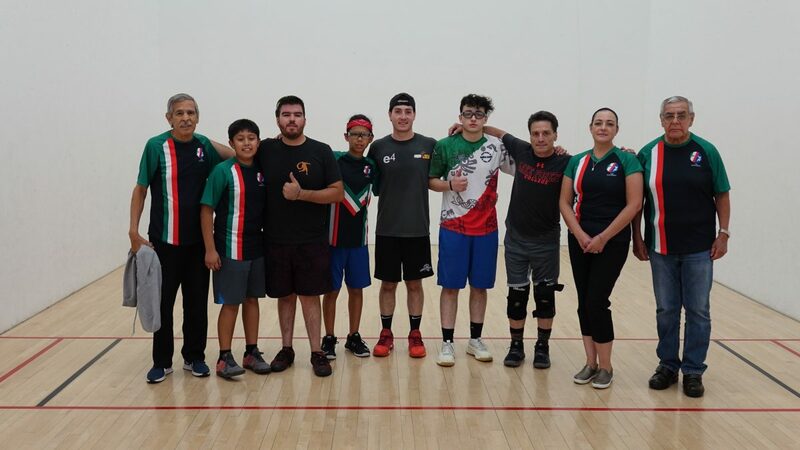 The B singles showcased the future of the sport, as the 18 players from Mexico, Tucson, and Phoenix had combined for more than 20 national titles. Each of the players in the 18-player field was under 18, giving this bracket a national championship vibe. Andres Cordova, the younger brother of the R48 Elite 8’s “Flying Cordovas” entered the field at the last minute, but made the most of his 11th hour entry. Cordova ousted Tucson’s junior phenom Ayden Brule in the quarterfinals, followed by Sophia Della Croce in the semifinals to advance to the final. Awaiting Cordova in the final was Cordova’s JR WPH Juarez teammate Eder Renteria, who overcame Tucson’s Miguel Sandoval and Phoenix’s David Frances to advance to the final. 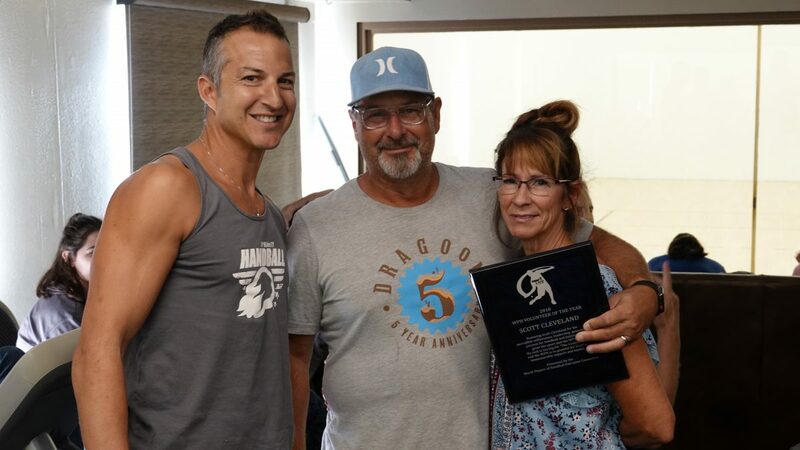 The WPH and the WPH board of directors were thrilled to honor Scott Cleveland as the 2018 WPH Volunteer of the Year during ’18 Tucson R48 Pre Qualifier + JR WPH Singles + Doubles. 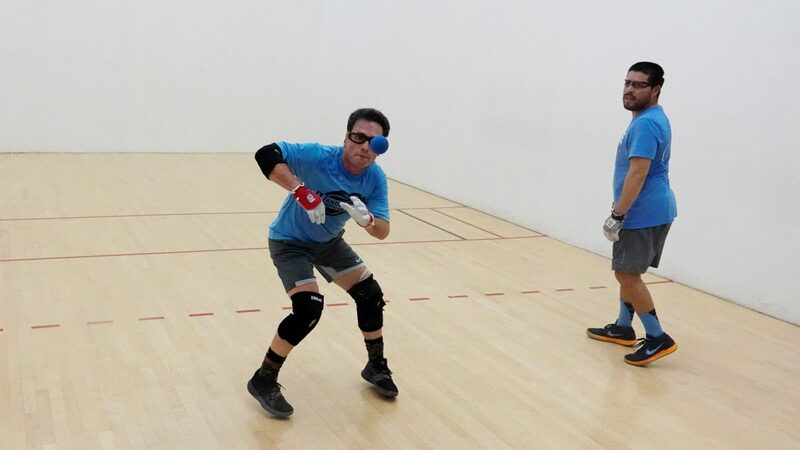 Known simply as “The Commish,” Scott Cleveland works tirelessly throughout the year to promote the sport and the WPH, running the weekly handball league for more than 100 players, working 20 hours per day during the R48 Tucson Memorial, and always rallying the handball community together for local tournaments and events. Thank you Scott! 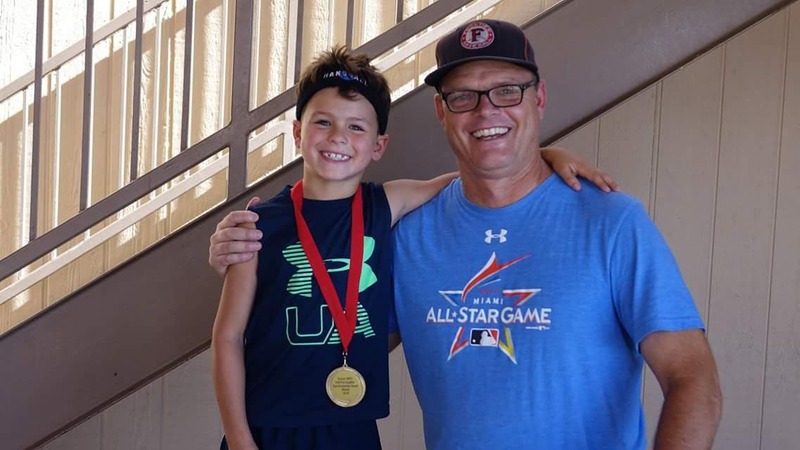 8-year old Luke Lambert played in his first handball tournament at the ’18 Tucson R48 Pre Qualifier + JR WPH Singles + Doubles and walked away with the most prestigious award of the event: the JR WPH Sportsmanship Award. 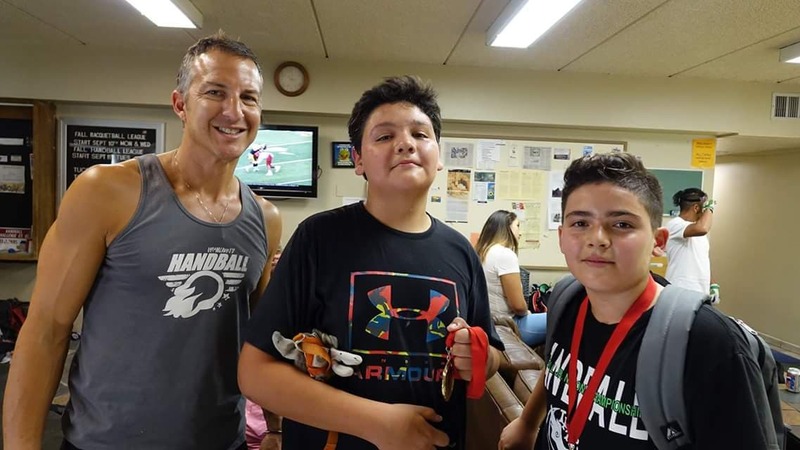 Lambert competed in all of his matches with a huge smile, taught handball to the younger kids at the event, and exemplified all that is great about handball and competition throughout the day. 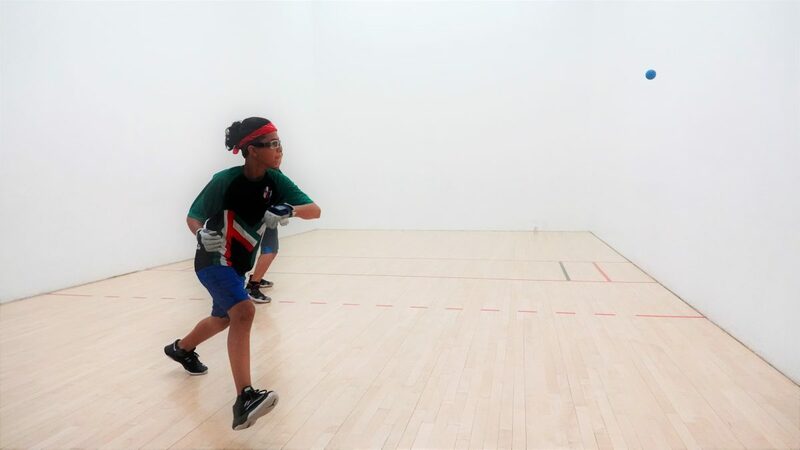 Lambert only started playing handball just three weeks ago and has not missed a day of practice since his first day hitting the ball. “Luke really picked up the bug and he’s loving the sport,” stated Luke’s coach Abraham Montijo. “Luke was really proud of the Sportsmanship award and it certainly was a meaningful bonus to what Luke referred to as “one of the greatest days of his life!” stated Luke’s father Greg. Thank you to Chris Hogan for bringing his group of high school players from Carl Hayden High School in Phoenix, Dan Willeford for bringing his Arizona State University Handball Team from Tempe, Drft Fernandez for bringing Team JR WPH Juarez from Mexico, Abraham Montijo and Fred Lewis for bringing the Fred Lewis Foundation Handball Team from Tucson, and all of the players and donors who made the ’18 Tucson R48 Pre Qualifier + JR WPH Singles + Doubles such a wonderful event. Special thanks to the Tucson Racquet and Fitness Club, Charlie Wicker, Tricia Fink & WPH Team, plus sponsors and volunteers for making this event Rock ‘n Tucson!